Condition: very good. No discoloration, creases, or other notable wear. Jean Leon Gerome Ferris (American, 1863–1930) was born into a family of acclaimed artists. His father was Stephen James Ferris, and his uncles included Edward Moran and Thomas Moran, and his aunt was Mary Nimo Moran. (Check aunt). He was named after the French painter Jean-Léon Gérôme. Beyond his in-family art training, JLG Ferris also studied at the Pennsylvania Academy of Fine Arts, and at the Académie Julian in Paris. Ferris would eventually become best known for The Pageant of a Nation, his painting series of 78 scenes from American history. 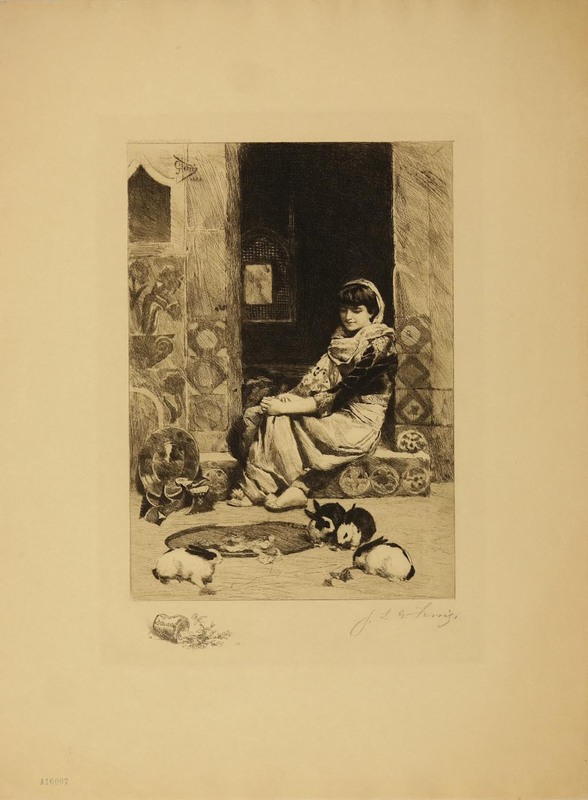 Before that, however, he was briefly enchanted by the Orientalist movement—the depiction of romanticized middle-eastern Subjects by western artists. 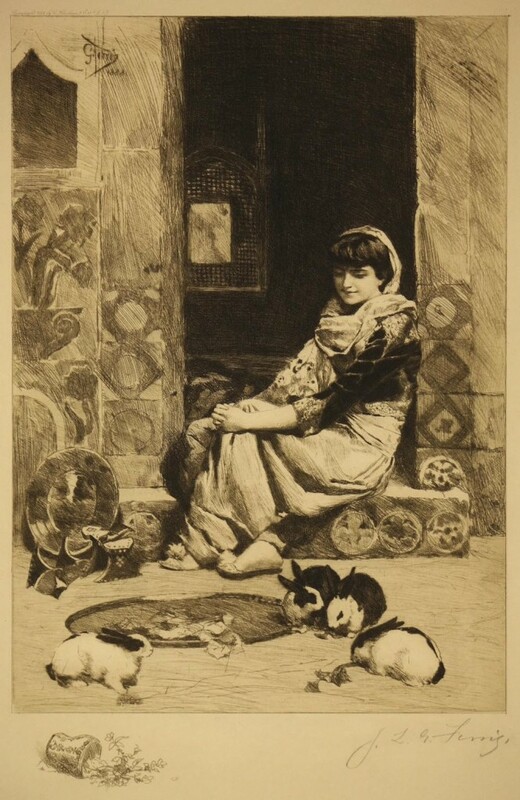 This rare etching comes from Ferris’s Orientalist phase, and shows the young man’s astonishing ability to draw, compose, and etch.